I’m not sure if my loved one should live alone anymore. What options are available at Bethel? There are several programs that might be appropriate, including Home Care, an Adult Day Services program or an enhanced Independent Living setting. Each of these options would enable your loved one to remain independent with a little help. Do you offer a continuum of care? Yes, our Ossining and Croton-on-Hudson campuses offer a full Continuum of Care, including Home Care, an Adult Day services program, Independent Living, Assisted Living and 24/7 Skilled Nursing care. The continuum is designed to transition seniors through each level of need with minimal disruption. What’s the difference between your Home Care and Adult Day Medical Services? Home Care provides nursing and personal care assistance in the home. The Medical Adult Day program provides these same services for people who live alone or with their families, and need a supervised, social setting during the day. Our Social Adult Day program offers social interaction for seniors without skilled needs who benefit from a structured day. These programs offer breakfast and lunch as well. Independent Living at The Pines is for seniors who can live alone but enjoy the benefit of a community setting. 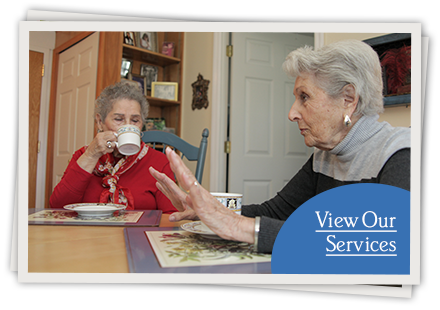 Meals, housekeeping, health and homecare services are options. Our assisted living community, The Springvale Inn, is designed for active seniors who are supported by a full continuum of care, wellness resources, wonderful amenities and accommodations that suit all tastes. Our wellness team, which includes around-the-clock nurses, supports residents' healthy living. Our Skilled Nursing & Rehabilitation facilities provide around-the-clock care and supervision to short-term and long-term residents. Short-term residents receive sub-acute rehabilitation therapy after joint replacement surgery, strokes, reconditioning and a number of other diagnoses with the intent of returning to the community. Long-term residents are admitted for permanent placement when they have a skilled nursing need that requires 24/7 supervision. I’m having a hip replacement in the next few weeks—can I go to Bethel for rehabilitation after my surgery? Bethel offers sub-acute, short-term rehabilitation programs to people of all ages who are recovering from joint replacements, surgeries, strokes and numerous other diagnoses. As inpatients, they receive around-the-clock supervision, pain management, nursing care and customized therapy programs. 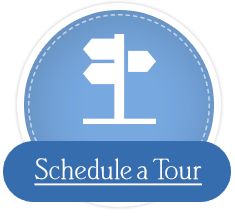 We welcome you to schedule a tour and discover all we have to offer. I’m the sole caregiver for my husband, who cannot be left alone. I require minor surgery and will not be able to care for him for a short period of time. Does Bethel provide services that can help me in this regard? Yes, Bethel offers a service called Respite Care for caregivers who need to devote time to other important matters, go on vacation or simply need a break. When a person is on Respite Care, they are entitled to all the same services provided to the other inpatient residents, including rehabilitation therapy. If a person has Medicaid coverage, Medicaid will pay for them to stay an allotted number of days per year based on what other services that person is already receiving through Medicaid, i.e., Home Care, Adult Day Care, or Respite days already used. However, if a person does not receive Medicaid assistance, they need to pay privately. The cost is based on the facility’s daily rate. Call Bethel's admissions office to find out what documents are required for admission and learn what specific guidelines each facility requires for a Respite stay. 1-914-739-6700 extension 1209.